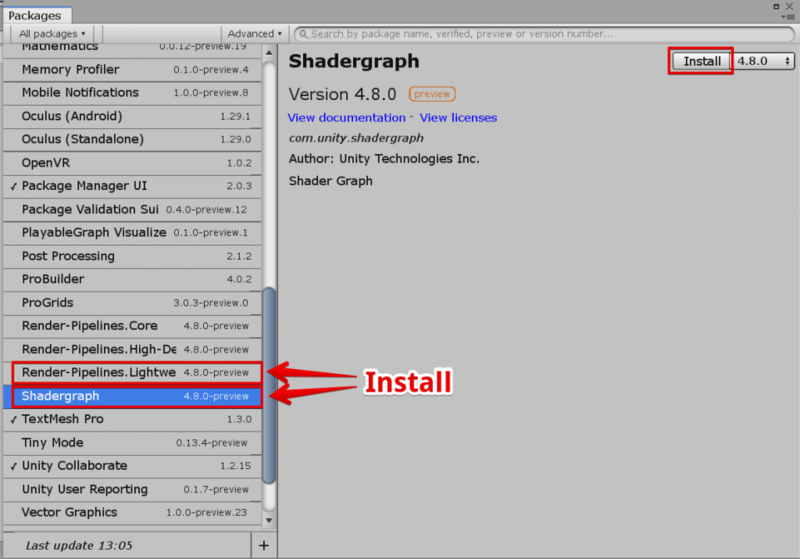 I am going to explain how to create a shader with ShaderGraph in Unity2018 and rewrite it for Unity2017.4. Although ShaderGraph itself cannot be uploaded to STYLY, you can upload it to STYLY by converting it into the shader code for Unity2017.4. 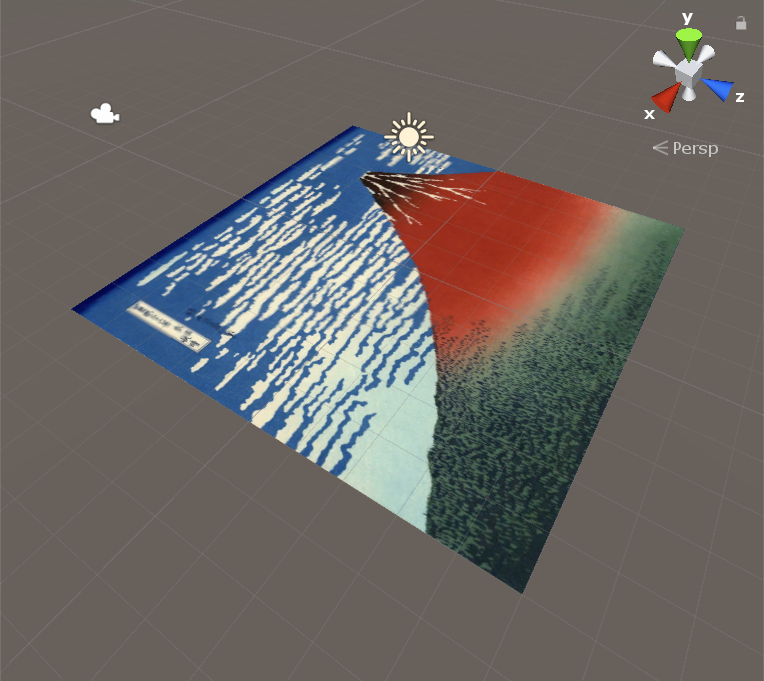 ShaderGraph is a node-based Shader editor, which allows you to create a shader visually. Please refer to the document in Unity Official Site for details. There are similar tools such as Amplify Shader Editor, Shader Forge, but I leave out the details of them this time. ShaderGraph requires Unity2018.3 or later. 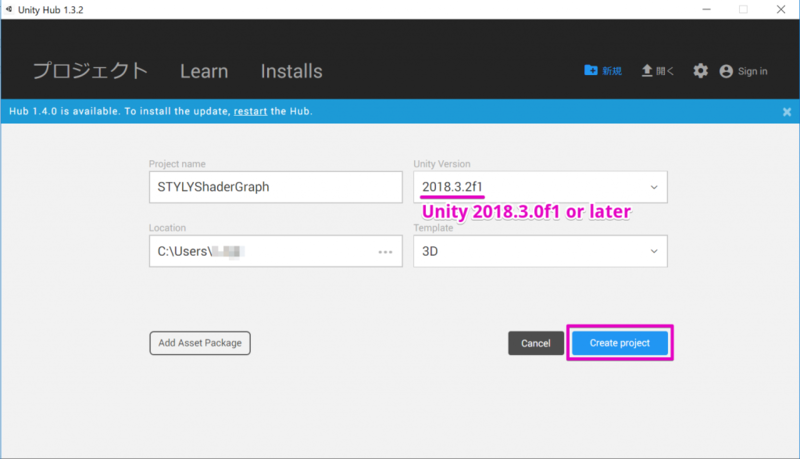 I explain how to install Unity 2018.3 and ShaderGraph here. 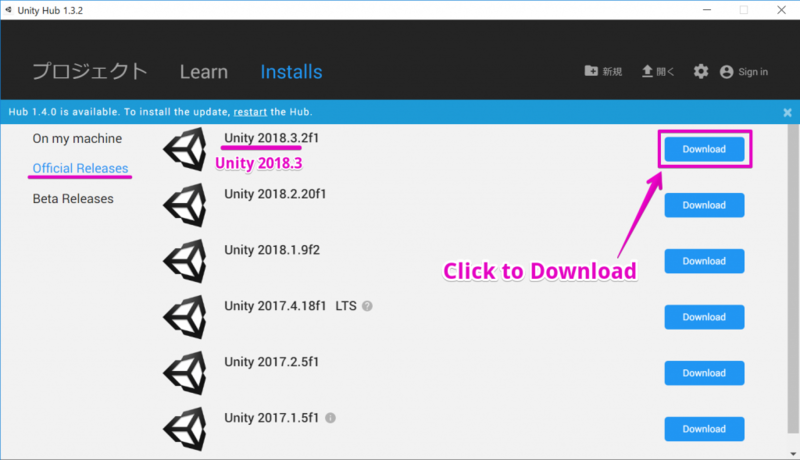 This time, we install Unity2018.3 by using Unity Hub. You can skip this section if you already have Unity2018.3 or later installed. 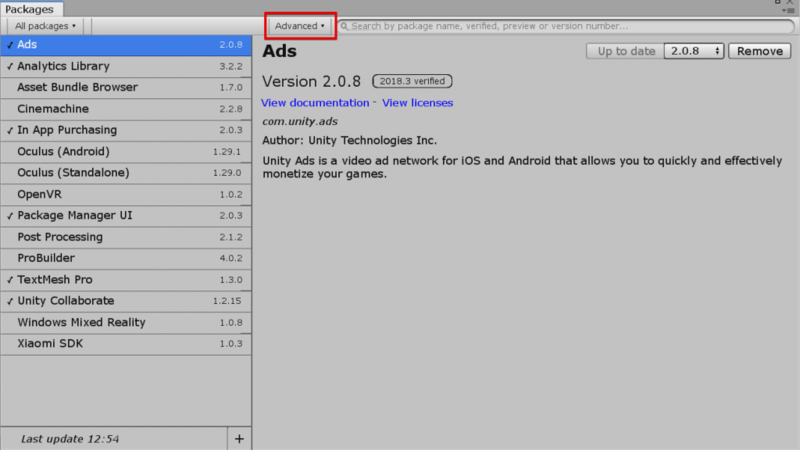 Firstly, download Unity Hub from the URL shown below and install it. After installing Unity2018.3 or later, create a Unity project. Please note that the Unity project you create here is not the Unity project for STYLY (Unity2017.4.0f1). You only use this Unity project to create data for ShaderGrapgh. 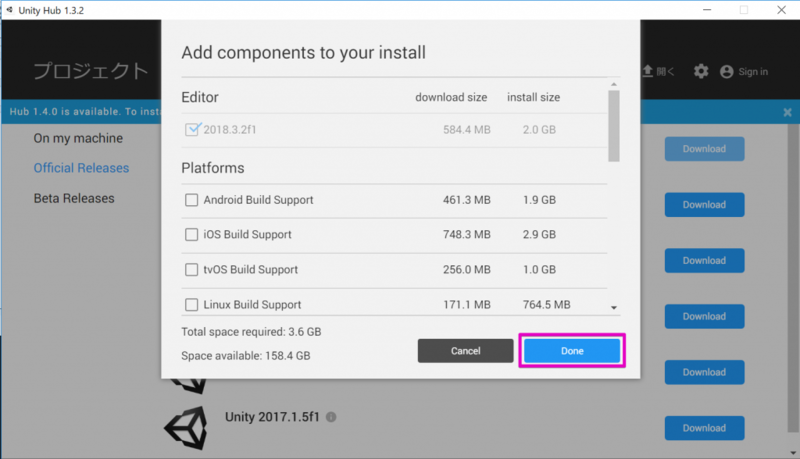 Select Unity2018.3 or later from UnityHub to create a new Unity project. It displays the list of the packages, but ShaderGrapgh is hidden by default. So click ‘Advanced’ and select ‘Show preview package’. 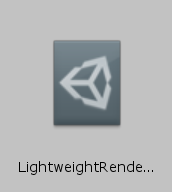 Finally, you need to register ‘Lightweight Render Pipeline’ with Unity. Select ‘Create > Rendering > Lightweight Render Pipeline Asset’ to create the ‘Lightweight Render Pipeline’ asset. Select ‘Edit > Project Settings…’ to open the setting window. Register the ‘Lightweight Render Pipeline’ asset created earlier with the setting window. It’s a long sequence, but we have now completed the introduction of ShaderGraph. 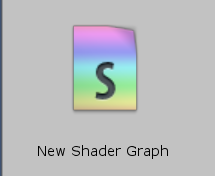 Let’s actually create a shader graph. 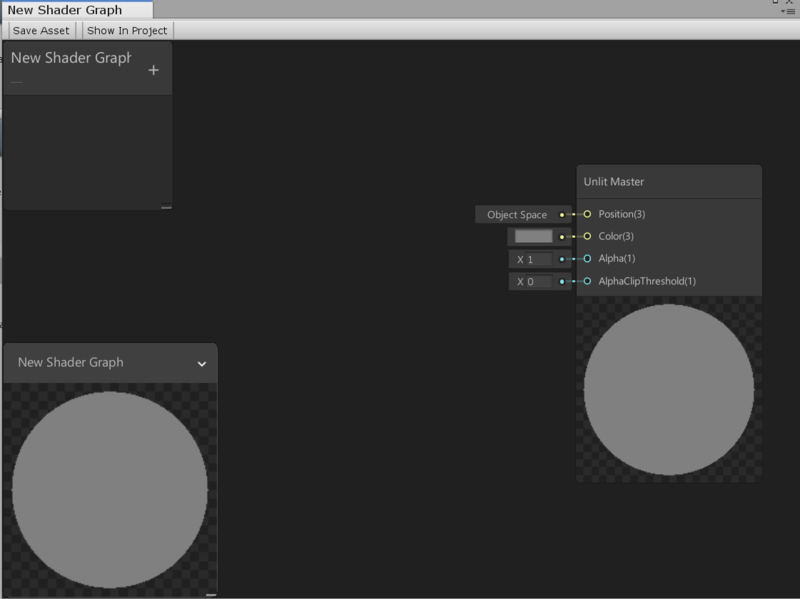 Right-click on the Project window and select ‘Create > Shader > Unlit Graph’ to make the asset of shader graph. Since we just need to add colour this time, select ‘Unlit Graph’. 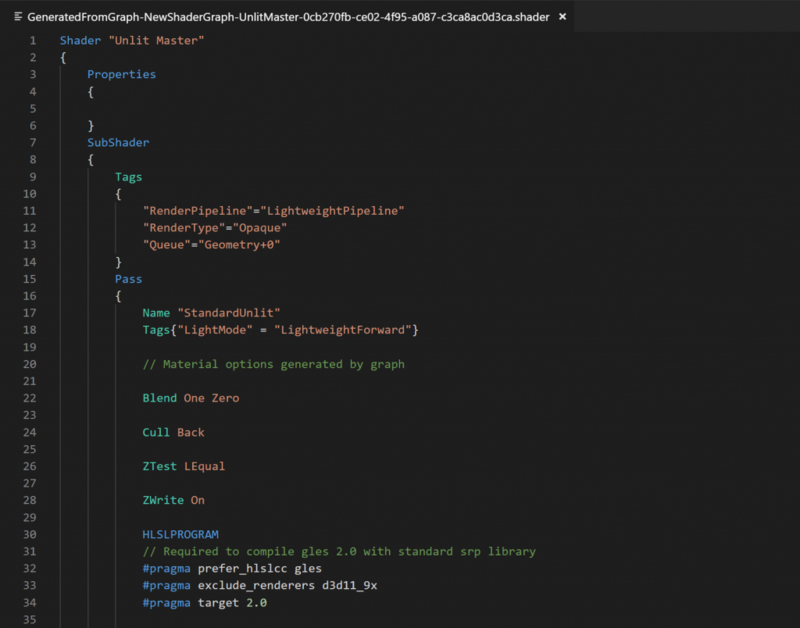 Double-click this shader graph to open the shader-graph editor window. It displays the shader graph with just one ‘Unlit Master’ node placed. 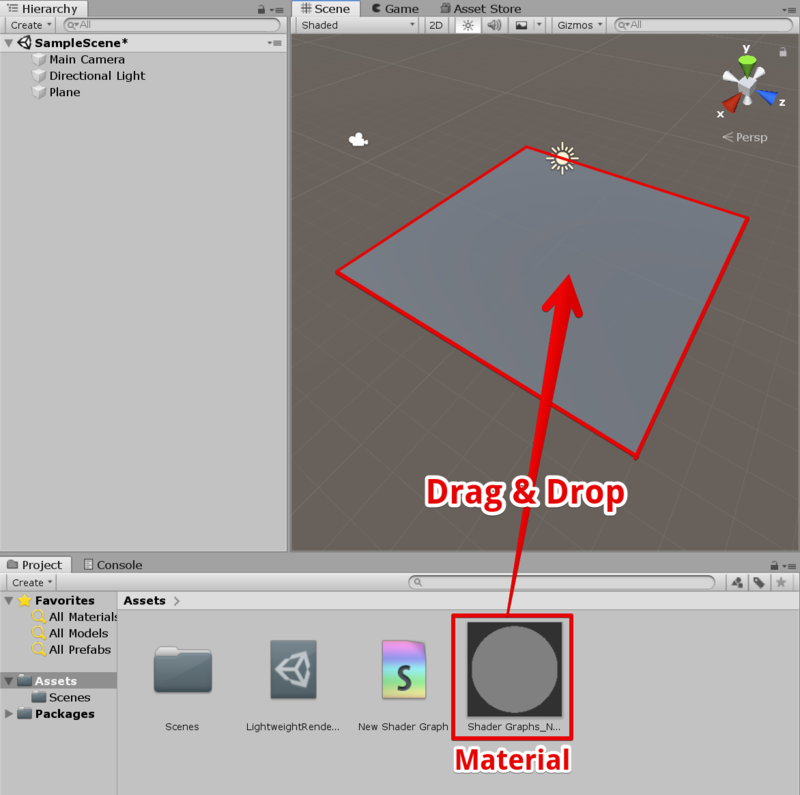 Right-click the shader graph and select ‘Create > Material’ to create a material. Attach the created material to an object. This time I attached the material to the board created by selecting ‘Create > 3D Object > Plane’ in the Hierarchy window. You can see the Colour pin on the Unlit Master node. It is the information about the colour to output to the final stage. 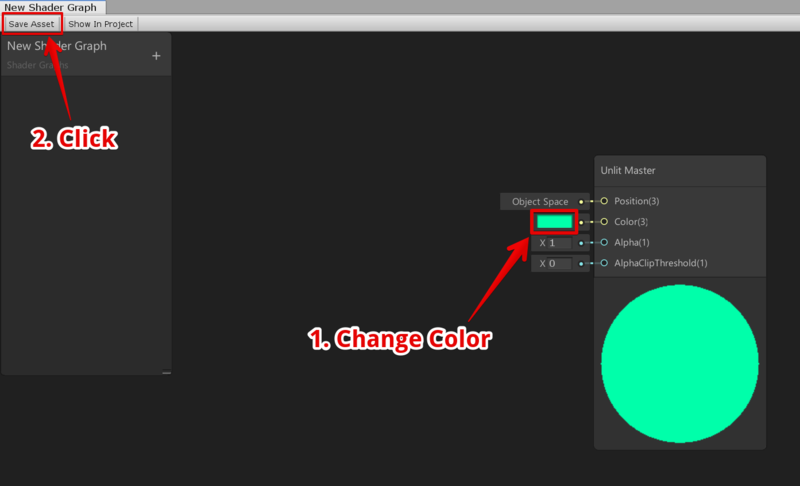 Let’s set ‘Color’ to green and click ‘Save Asset’ in the top-left corner of the window to save. The board has also been coloured in green. Next, let’s display the texture. 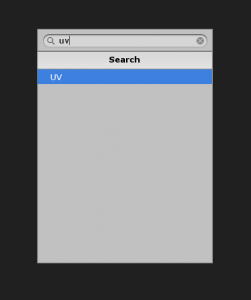 Hit the space key on the shader-graph window, enter ‘uv’ and press the Enter key. A UV node has been added. In the same way, create the ‘Sample Texture 2D’ node and connect the UV node with the Unlit node as shown below. Assign a texture to the ‘Sample Texture 2D’ node. 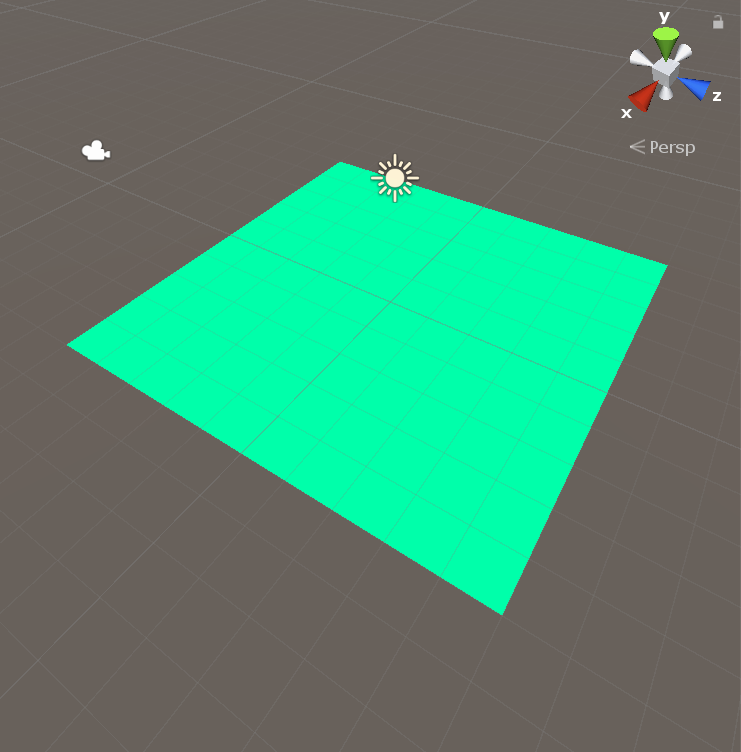 Once the shader graph was saved, the colour of the texture is applied to the board and it should look like the shown below. Next, let’s port this shader graph to ShaderLab. Once it’s ported to ShaderLab, you can upload it to STYLY. 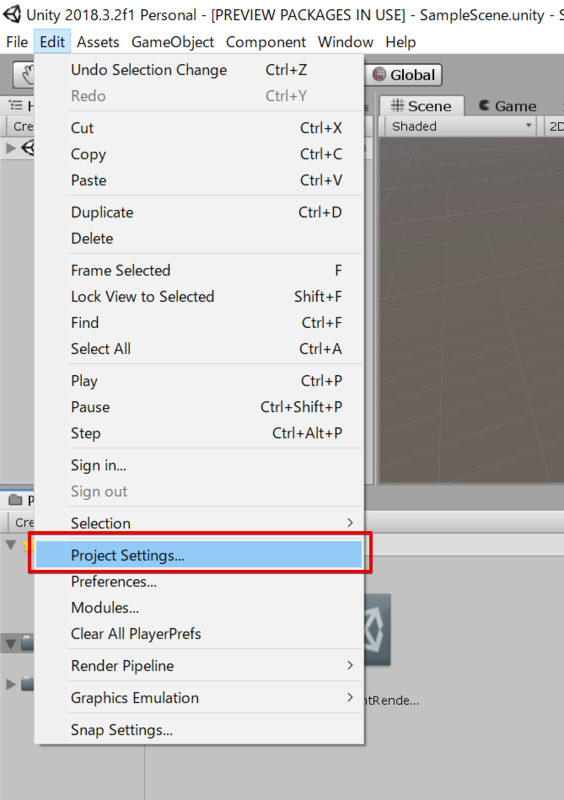 Firstly, select ‘Create > Shader > Unlit Shader’ in the Project window to create an Unlit shader file. 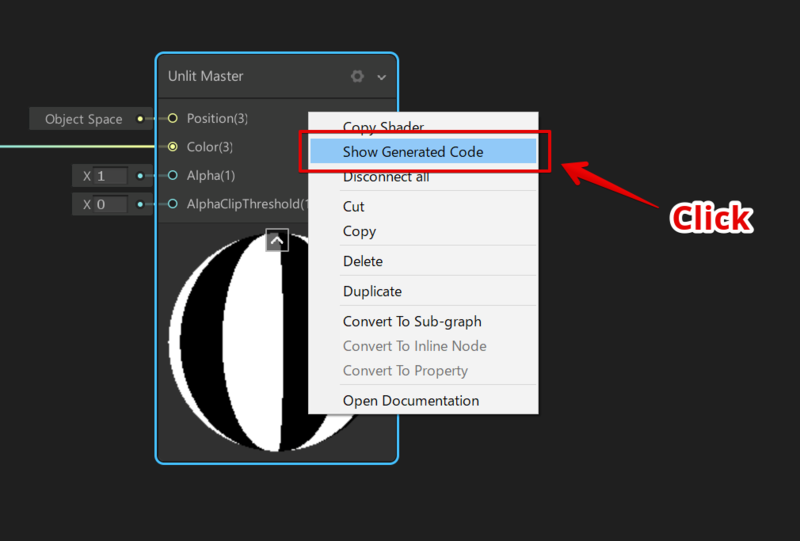 The code of the created shader is shown below. The following code actually generates the colour. This process extracts the colour from the texture, applies ‘fog’ to it and then output it as the final colour. Modify the above code as shown below. It extracts the colour from the texture and output it, which is the same as the shader graph shown below. i.uv is the UV coordinate, which corresponds to the UV node in the shader graph. 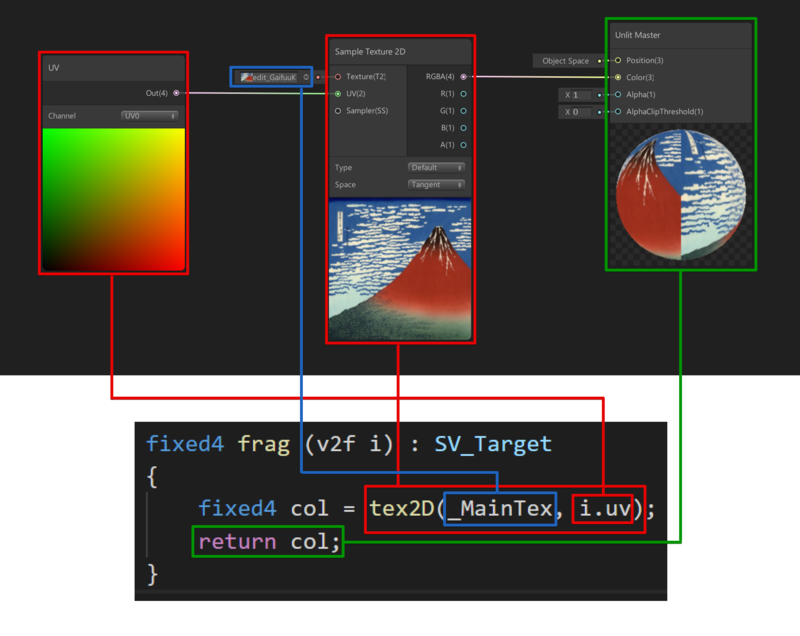 The tex2D() function is the one to extract the colour at each uv position of the texture, which corresponds to the Sample Texture 2D node in the shader graph. The ‘return’ command returns the value of the colour, which corresponds to the Colour pin on the Unlit Master node. 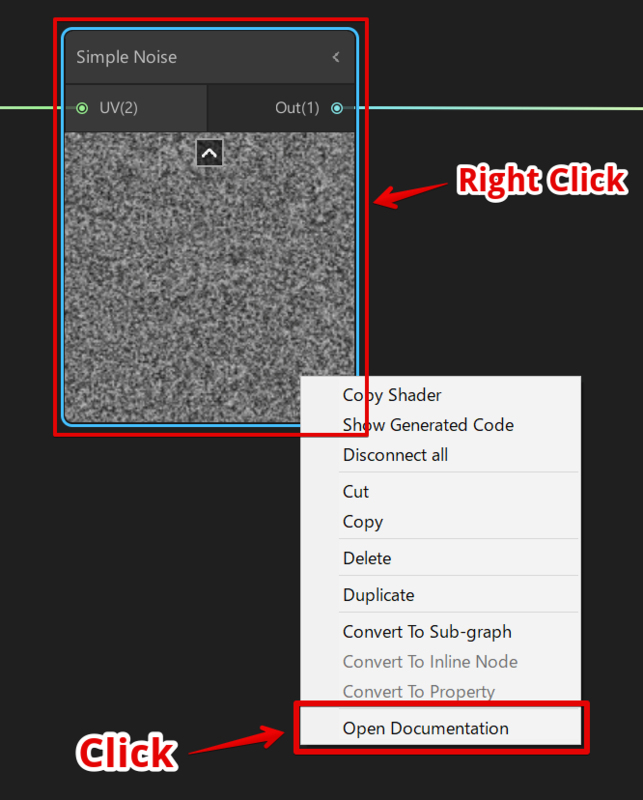 You can make a noise pattern by setting up the shader graph as shown below. Each node of the shader graph is implemented by the shader code, so you can use exactly the same function on ShaderLab by copying the code. Right-click the node and select ‘Open Document’ to see the code. If you open the documentation of the ‘Simple Noise’ node, the following documentation will be opened in the web browser. In the documentation, you will find the following shader code. This is the shader code of ‘SimpleNoise’. By pasting the above shader code in the .shader file, ‘Noise’ is ‘enabled’ but cannot actually use it in the current state. So, to make it usable, make the last eight lines into a function and define the undefined variables (UV and Scale). 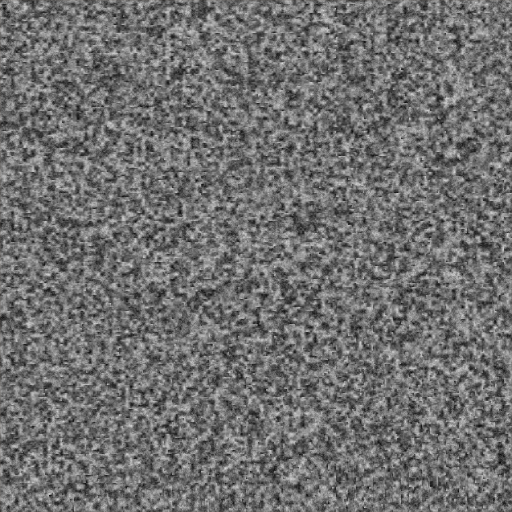 Then call this function from the frag function in ShaderLab to display ‘Noise’. The whole shader code is shown below. The shader graph shown blow generates a scrolling stripe pattern. 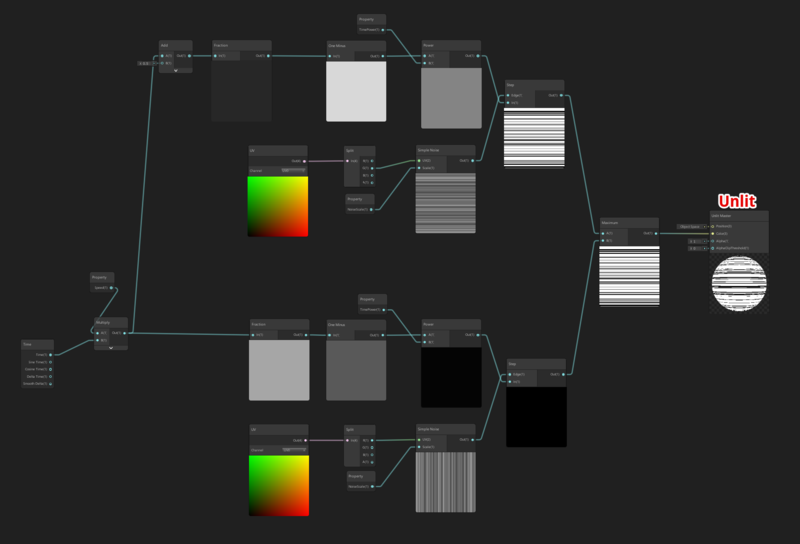 Let’s port this stripe shader graph to ShaderLab. Firstly, right-click the Unlit master node and select ‘Show Generated Code’. It displays the shader code converted from the shader graph. The actual shader code generated is shown below. This shader code works with ‘Scriptable Render Pipeline’ available in Unity2018 or later. Therefore, it doesn’t work in Unity2017 and cannot be uploaded to STYLY either. So now I explain how to port this shader code to Unity2017.4.0f1 and makes it uploadable to STYLY. As you scan the shader code generated by ‘Show Generated Code’, you will find the PopulateSurfaceData function. Paste the code of this PopulateSurfaceData function in the frag function. Copy and paste the following four functions used in the generated code. The argument of the frag function is ‘i’ at the moment. Change it into ‘IN’. 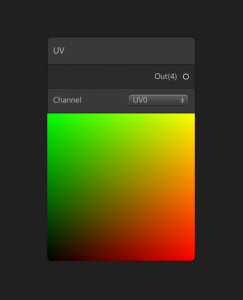 It’s defined as ‘uv’ in v2f, so modify the following line to rename it ‘uv0’. Since uv is defined as float2 for IN, change the variable type in the left side of the expression from float4 to float2. You can access each element of float2 or float4 by the following syntax. Since the uv value is float2 this time, the z and w element don’t exist. Therefore delete the code shown below. Currently, it returns the colour and the alpha value stored with the properties. But, since it needs to return the colour information this time, delete the lines shown below. And, modify the return statement so that it returns the value of ‘surface.Color’. After all the modifications above, the frag functions should be as follows. After porting, the whole shader code should be as follows. After poring the Noise shader above to Shaderlab, the code should be as follows. Please refer to the instruction from the link below to learn how to upload an asset from Unity to STYLY. How to Resolve Texture Issues in Unity 2017x?